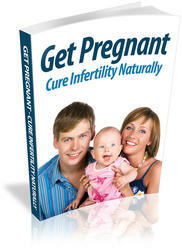 • You may get to a point where you want to stop all fertility and ART procedures and turn to adoption. • Share your thoughts with someone you can trust, such as your partner, a fertility specialist, a close friend, or a family member, to help you with your decision making. • Some people pursue both fertility treatments and adoption, but most don't do them simultaneously because both are expensive and emotionally draining. • In the United States, many couples are now turning to other cultures and nations or are adopting a child with special needs because their waiting time is considerably shorter.